Our sweet consolation or devil’s candy? The summer has come. Have you noticed? The temperatures are high, the sun is shining so many people parade around in t-shirts skirts and shorts, showing off…well, their not very appetizing bodies. To put it blandly, they are FAT. It concerns all sexes and people of all ages, even very young children. Have you thought why there are so many seriously obese people around the world? The hero of my essay might be one of the main culprits. I am thinking here about high fructose corn syrup (HFCS) known also as glucose-fructose syrup in the UK, glucose/fructose in Canada, and high-fructose maize syrup in other countries. It is a ubiquitous sweetening ingredient which is mixed into thousands of drinks and snacks to appeal to sweet toothed customers. You can find this ingredient in breads, cereals, breakfast bars, lunch meats, yogurts, soups, and condiments. According to the Wikipedia which quotes USDA, HFCS consists of 24% water, and the rest sugars. The most widely used varieties of high-fructose corn syrup are: HFCS 55 (mostly used in soft drinks), approximately 55% fructose and 42% glucose; and HFCS 42 (used in beverages, processed foods, cereals and baked goods), approximately 42% fructose and 53% glucose. HFCS-90, approximately 90% fructose and 10% glucose, is used in small quantities for specialty applications, but primarily is used to blend with HFCS 42 to make HFCS 55. Now, if you don’t work for a food company, should it interest you at all? Yes, it should; especially if you (like yours truly) or somebody from your family or friends have gained a lot of weight lately and simply can’t get any slimmer. You see, HFCS might be responsible. Before I explain how and why let’s see how it began. When it comes to the substance itself, the HFCS was first introduced by Richard O. Marshall and Earl R. Kooi in 1957. They were, however, unsuccessful in making it viable for mass production .The industrial production process and creation was made by Dr. Yoshiyuki Takasaki at the Agency of Industrial Science and Technology of Ministry of International Trade and Industry of Japan in 1965–1970. HFCS was rapidly introduced to many processed foods and soft drinks in the U.S. from about 1975 to 1985. High-fructose corn syrup is produced by milling corn to produce corn starch, then processing that starch to yield corn syrup, which is almost entirely glucose, and then adding enzymes that change some of the glucose into fructose. 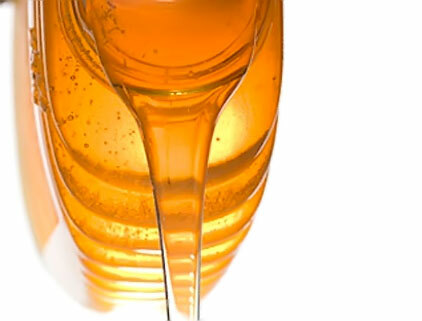 The resulting syrup (after enzyme conversion) contains approximately 42% fructose and is HFCS 42. Some of the 42% fructose is then purified to 90% fructose, HFCS 90. To make HFCS 55, the HFCS 90 is mixed with HFCS 42 in the appropriate ratios to form the desired HFCS 55. Why did HFCS supplant so swiftly other ‘normal’ kinds of sugar, produced from sugar cane or sugar beet? Its price is the key to quite an incredible career. In 1971 the Oval Office was occupied by one of least pleasant American presidents, Richard Nixon. He was facing re-election and his popularity plunged dangerously because of the Vietnam war and the soaring cost of food. The war was one matter but the high cost of living was affecting every single American citizen. Nixon knew very well that, if he wanted to continue his career as a politician, he had to reduce food prices. The president appointed Earl Butz, an academic from Indiana to find a solution. Butz, an agriculture expert, pushed farmers into a new, industrial scale of production and farming one crop in particular – corn. In doing so he seemed to literally alter the shape of human race. US cattle were fattened by the immense increase in corn production. Burgers became bigger, French fries, fried in corn oil, became fattier and more tasty. The market was swamped by cheaper food and everybody at that time seemed enjoying the bonanza- Nixon’s popularity went up, American farmers became richer than ever and the consumers had products with lower price tag. A paradise? Well, there was trouble brewing. By the mid-70s, there was a surplus of corn so Butz flew to Japan to look into a scientific innovation that would change everything: the mass development of high fructose corn syrup (HFCS). It was not only sweet but also so incredibly cheap. HFCS was soon included into every conceivable food: pizzas, coleslaw, meat. It provided that “freshly baked” sheen on bread and cakes, made everything sweeter, and extended shelf life from days to years. A silent revolution of the amount of sugar that was going into our bodies was taking place Why was HFCS such a miracle worker? Table sugar (also called sucrose) and HFCS both consist of two simple sugars: fructose and glucose. The proportion of fructose and glucose in HFCS is basically the same ratio as table sugar, which is made of 50% fructose and 50% glucose. Both sweeteners contain the same number of calories (4 calories per gram). There is a slight difference, though. Fructose and glucose in table sugar, coming most often from sugar beet, are chemically bonded together, and the body must first digest sugar to break these bonds before the body can absorb the fructose and glucose into the bloodstream. In contrast, the fructose and glucose found in HFCS are merely blended together, which means it doesn’t need to be digested before it is metabolized and absorbed into the bloodstream. Because of this, theories abound that HFCS has a greater impact on blood glucose levels than regular sugar (sucrose). However, research has shown that there are no significant differences between HFCS and sugar (sucrose) when it comes to the production of insulin, leptin (a hormone that regulates body weight and metabolism), ghrelin (the “hunger” hormone), or the changes in blood glucose levels. In addition, satiety studies done on HFCS and sugar (sucrose) have found no difference in appetite regulation, feelings of fullness, or short-term energy intake. Overall official sources are unanimous: research studies have yielded mixed results about the possible adverse effects of consuming high-fructose corn syrup. Although high-fructose corn syrup is chemically similar to table sugar (sucrose), concerns have been raised because of how high-fructose corn syrup is processed. Some believe that your body reacts differently to high-fructose corn syrup than it does to other types of sugar. But research about high-fructose corn syrup is evolving. It basically means nobody is able to tell you they know EVERYTHING about that kind of sugar. Some research studies have linked consumption of large amounts of any type of added sugar — not just high-fructose corn syrup — to such health problems as weight gain, dental cavities, poor nutrition, and increased triglyceride levels, which can boost your heart attack risk. But there is insufficient evidence to say that high-fructose corn syrup is less healthy than are other types of added sweeteners. HFCS has been classified generally recognized as safe (GRAS) by the U.S. Food and Drug Administration since 1976 Still…it would be extremely naïve if you didn’t take into account one very important factor – in the best interest of plenty of powerful, rich companies is to prove HFCS is harmless – just like any other kind of sugar. I would compare it to the situation of the tobacco companies which for many years, persistently and doggedly told their customers cigarettes were harmless. They used every trick in their books, tweaked and bought false research results, intimidated and blackmailed. The money they earned allowed them to do so and encouraged them to do even more. The situation might be repeating itself – we are speaking about equally affluent businesses. Finally people decided it was high time to lose some weight. Okey dokey. The food industry spotted another great opportunity right away – the creation of a new genre of food, something they knew the public would embrace with huge enthusiasm, believing it to be better for their health. The market for “low fat” products was born. Overnight, new products arrived on the shelves, products that seemed too good to be true. Low-fat yoghurts, spreads, even desserts and biscuits. All with the fat taken out, and replaced with sugar – yummy hings you could eat without pangs of conscience- but are they really so innocent? Britain was one of the most enthusiastic adopters of what food writer Gary Taubes, author of Why We Get Fat, calls “the low-fat dogma”, with sales rocketing. However, when you take the fat out of a recipe, food tastes like cardboard, and you need to replace it with something – that something being sugar. By the mid-80s, health experts such as Professor Philip James, a world-renowned British scientist who was one of the first to identify obesity as an issue, were noticing that people were getting fatter and still no one could explain why. The food industry was keen to point out that individuals must be responsible for their own calorie consumption (they are always responsible, aren’t they), but even those who exercised regularly and ate low-fat products were gaining weight. In 1966 the proportion of people with a BMI of over 30 (classified as obese) was just 1.2% for men and 1.8% for women. By 1989 the figures had risen to 10.6% for men and 14.0% for women. And no one was joining the dots between HFCS and fat. Moreover, there was something else going on. The more sugar we ate, the more we wanted, and the hungrier we became. At New York University, Professor Anthony Sclafani, a nutritionist studying appetite and weight gain, noticed something strange about lab rats. When they ate rat food, they put on weight normally. But when they ate processed food from a supermarket, they ballooned in a matter of days. Their appetite for sugary foods was insatiable: they just carried on eating. According to dr Tony Goldstone, one of the by-products of obesity is that a hormone called leptin ceases to work properly. Normally, leptin is produced by the body to tell you that you are full. However, in obese people, it becomes severely depleted, and it is thought that a high intake of sugar is a key reason. When the leptin doesn’t work, your body simply doesn’t realize you should stop eating. Leptin raises a big question: did the food industry knowingly create foods that were addictive, that would make you feel as though you were never satisfied and always wanted more? I am fully aware that this is highly controversial. If it could be proved that at that some point the food industry became aware of the long-term, detrimental effects their products were having on the public, and continued to develop and sell them, the scandal would rival that of what happened to the tobacco industry. You might wonder: after all sugar is a natural product, right? Wrong. Let’s face it: neither table sugar nor HFCS would exist without human interaction and processing. You cannot just go to a field and squeeze corn syrup out of corn or sugar out of sugar beets or sugarcane. “Natural” or not, too much sweet stuff can’t be good for you—even if it comes from what you might think of as natural sweeteners like honey, agave syrup (which is also highly refined and actually higher in fructose than HFCS) or raw sugar. Barry Popkin, Ph.D., a nutrition professor at the University of North Carolinal stresses that the real obesity problem doesn’t lie just with HFCS. Rather, it’s the fact that sugars from all sources have become so prevalent in our food supply, especially in our beverages. He scoffs at the “natural” sweeteners sometimes added to upscale processed foods like organic crackers and salad dressings. “They all have the same caloric effects as sugar,” he explains. “I don’t care whether something contains concentrated fruit juice, brown sugar, honey or HFCS. The only better sweetener option is ‘none of the above.’” Perhaps it is the wisest option, after all. Finally let me add that the situation is not hopeless. Responding to the public mood, Starbucks last year removed the syrup from its bakery products, and several other brands including Gatorade sports drinks have cut back on its use. Hey, we are not that helpless as the customers after all! This entry was posted in miscellaneous essays. Bookmark the permalink.